The 2ml screw cap microcentrifuge tubes are available as conical bottom without a skirt for easy viewing of contents at the bottom after centrifugation and with a skirt as a self -standing tube. Both are available in natural for regular use and amber color for light sensitive fluorescent contents. 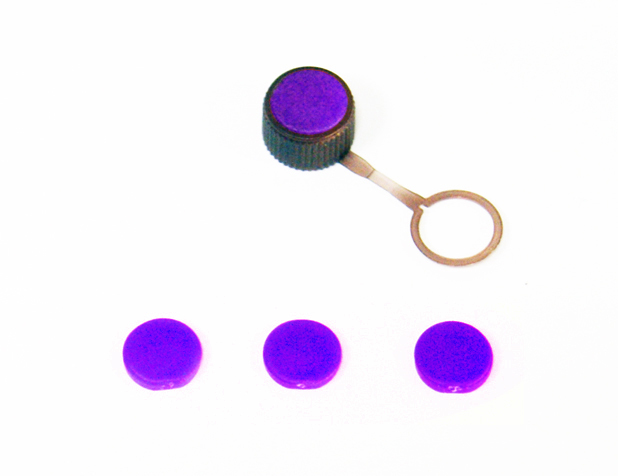 The screw caps are available with 0-ring and another version with self-sealing cap; both with convenient attached tether to prevent capping mishaps. The caps are available in a selection of color for easy color coding. Cap inserts for O-ring caps are available in 8 colors for cross color labeling and easy identification. These are manufactured using virgin polypropylene and packaged under dust free conditions. All are RNase, DNase and pyrogen free.